What are the best luxury hotel cities? While there are plenty of cities that have one fantastic luxury hotel, such as the Four Seasons St. Petersburg in St. Petersburg, Russia, or countries such as the Maldives that have a number of great luxury resorts, such as Four Seasons Maldives at Landaa Giraavaru, Cheval Blanc Randheli, Soneva Fushi, etc., yet spread quite far apart, in my view there are relatively few cities that have a number of great luxury hotel options. The beauty of such cities is that the competition among these multiple great luxury properties helps keep standards very high. It's no wonder so many of my clients enjoy visiting Hong Kong, whether for business or for leisure, often as part of a larger Asia trip. It's especially popular with foodies, given the many great dim sum places, high end to hole in the wall. As the hub for Cathay Pacific, it's also an easy destination to get to. 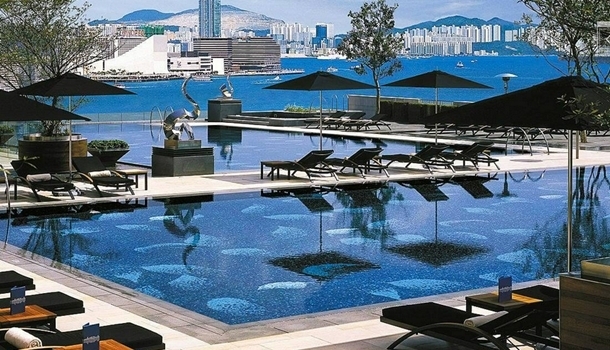 Four Seasons Hong Kong: This is my top pick for couples and families who want a swimming pool and/or the option of a club lounge; The Executive Club Lounge is a real treat, and worth pre-reserving access to for a fee, even if you haven't reserved a Club level room or suite. Make sure to reserve well in advance for weekend dim sum at Lung King Heen, as it can book out months in advance. The Upper House Hong Kong is my top pick for those who prefer a more boutique experience, as the level of personalized service is incredible, and the studios are the largest entry level rooms in Hong Kong. The Ritz-Carlton Hong Kong is an excellent choice if you want to be on the Kowloon side, particularly if you pick a Club level room or suite, with dedicated Club Lounge Concierge service and food and drink offerings 5 times a day. As at the Four Seasons Hong Kong, don't miss dim sum; Tin Lung Heen offers an especially delicious rice noodle roll with barbequed Iberian pork, and on a nice day, the view from the tables by the window is spectacular. While many European capitals have some very nice boutique properties, luxury hotels in many places in Europe tend to leave me a little underwhelmed compared to the level of service at the best luxury hotels in Hong Kong and a few other places in Asia. That's not the case with the creme de la creme in Paris, however. Four Seasons Hotel George V Paris typically commands a significant price premium even to its luxury hotel competitors, but for good reason–the hotel is steeped in Parisian elegance, from the stunning Jeff Leatham floral arrangements in the lobby and throughout the hotel; service is intuitive and strikes the perfect note of gracious professionalism and sincerity, without being overly familiar; and Le Cinq is at the top of its game, having recently attained a third Michelin star. 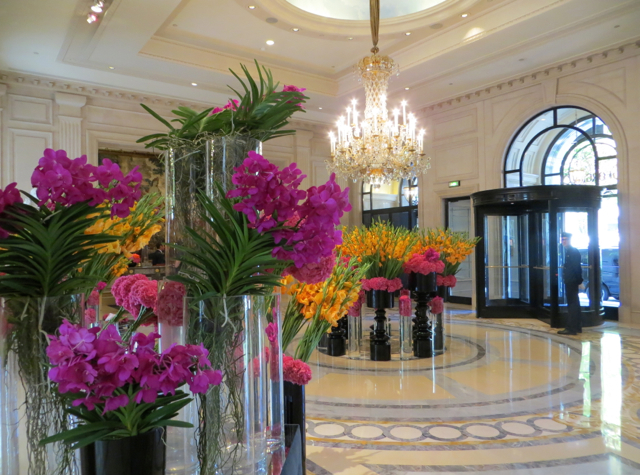 The Peninsula Paris is my clients' other favorite Paris luxury hotel, and appeals to those who prefer a newer, modern aesthetic. A huge PenClub benefit is flexible check-in/check-out, since it means that even if you arrive after a red eye flight (which is likely if flying from the U.S.) you'll either enjoy early check-in if your room or suite is ready, or the hotel will give you access to another room that you can use until your reserved room/suite is ready. Perfect for a little nap and shower before exploring Paris. The Mandarin Oriental Paris is ideal if you prefer a location closer to the Opera, Musee de l'Orangerie, Tuileries, and Louvre Museum. Le Royal Monceau-Raffles Paris has also been a client favorite, and can be particularly good value if there's a 3rd night or 4th night complimentary offer. Tokyo doesn't have quite the depth of luxury hotels that Hong Kong and Paris have, but it's still high on the list, and is another fantastic destination for foodies. A great way to get there is JAL First Class, JAL Sky Suite Business Class, ANA First Class, or Singapore First Class. 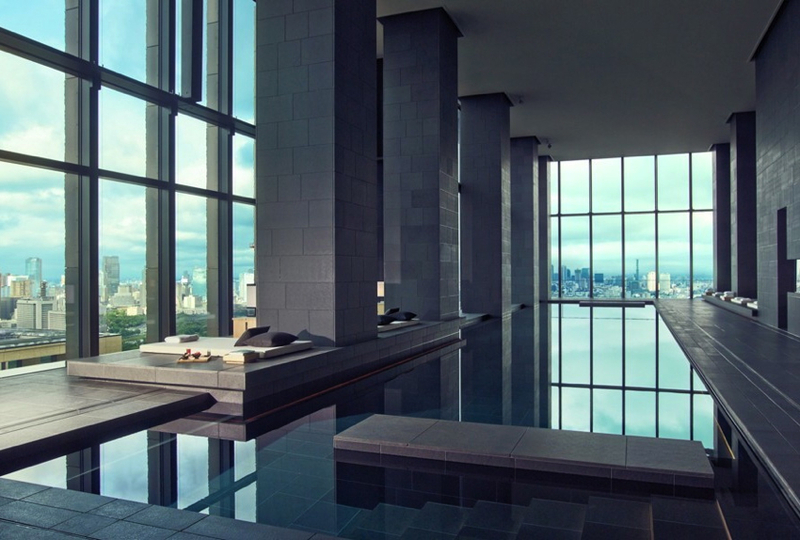 Aman Tokyo is Aman Resorts' very first urban hotel, and has fast become a client favorite for its modern and spare design aesthetic, the largest entry level rooms in Tokyo, best Tokyo hotel pool, and service. Mandarin Oriental Tokyo is perfect if your budget doesn't quite extend to Aman Tokyo, as it offers some of the best service in Tokyo, as well as some great in-house restaurnts, Sushi SORA and Tapas Molecular Bar. The Peninsula Tokyo has some rooms with views of the Imperial Gardens, especially scenic during cherry blossom season, and again, the benefit of PenClub flexible check-in and check-out, a boon to weary travelers coming in after a red eye flight, or departing late at night. The Four Seasons Tokyo is my top pick for families, since Four Seasons, in my view, offers the best luxury hotel experience for kids, even at urban hotels. There's a nice welcome amenity for your child, child size bathrobes and slippers, and staff are welcoming to kids. 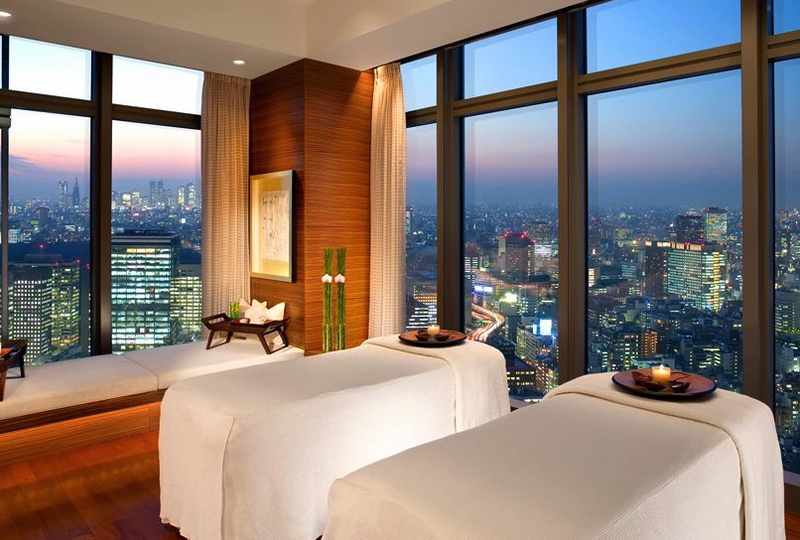 There are plenty of other luxury hotel options as well in tokyo, from the historic and super conveniently located Tokyo Station Hotel to The Andaz Tokyo Toranomon Hills. What are your favorite luxury hotel cities, where you feel spoiled for choice in terms of fantastic luxury hotel options? Become a TravelSort Client and Book Your Hotel with Virtuoso, Mandarin Oriental FAN Club, Four Seasons Preferred Partner or Peninsula PenClub VIP Amenities!